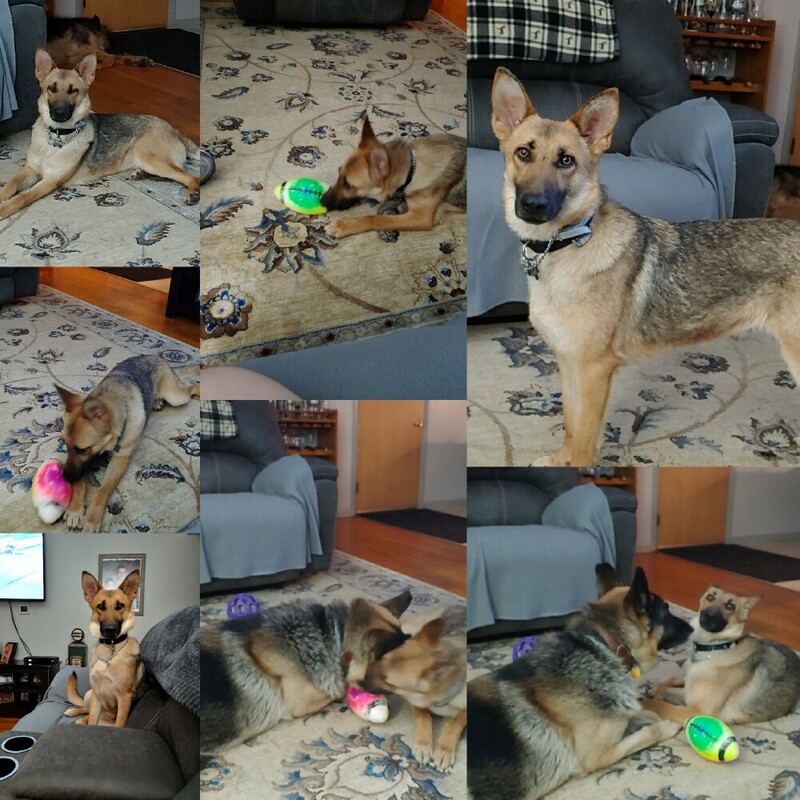 As you can tell by the photos, Macklee has a favorite toy. She loves to play with this football, however when she wasn't sharing her older brother Nate reminded her that she needs to share. She continues to work on her confidence with her trainer Miss Kathy. She gets in and out of the back of the car by herself with little anxiouness. We also learned that she loves water and loves to play in it. She will go on short walks, but never far from our house. When we go for walks and is given the command "home" she walks me straight up the driveway to the door. She does not like things out of their place in our house. She touches the doorknob with her nose when she wants to go out. She is still most comfortable in our home, with her fur brothers and my husband and I. She handled my being gone for a business trip better then I did too. That time gave her an opportunity to become more comfortable with my husband. We are all working together to help her be a confident, happy, strong and independent girl!